I could comment on the crazy US Presidential Primaries but instead I am going to focus on shoes. Which is both easy and hard because I want to talk about politics. But I won’t. 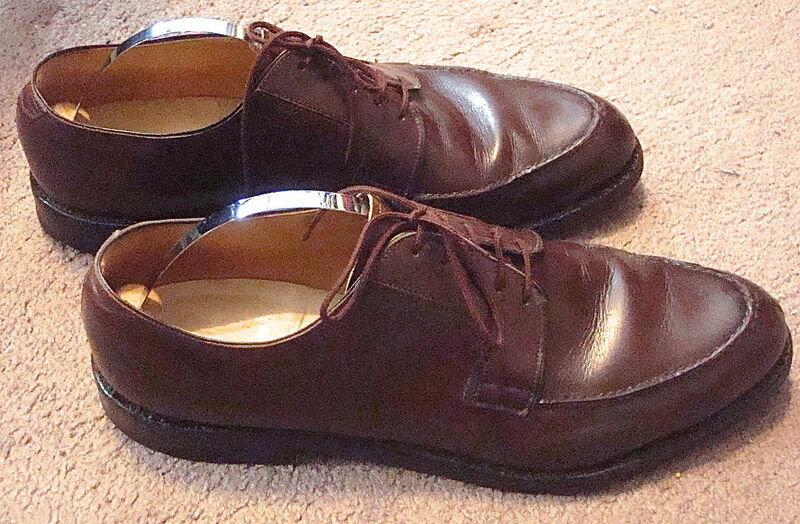 Instead I will continue on my quest to be the Nate Silver of Made in USA, vintage men’s dress shoes from the 1970s. Whatever that means. 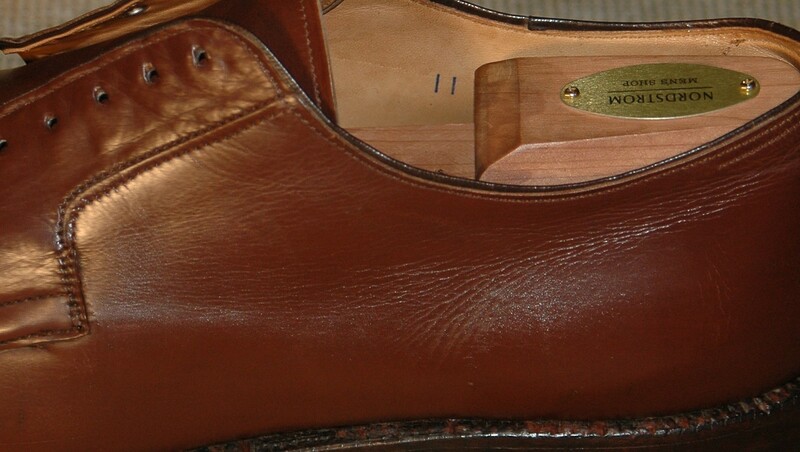 This post is about a pair of Nettleton Traditionals Algonquin shoes. I am not sure how old they are (guessing 1970s), but I am sure of where I bought them (eBay). They looked in decent shape in the grainy listing photos. Okay, these shoes were tired and needed some work. 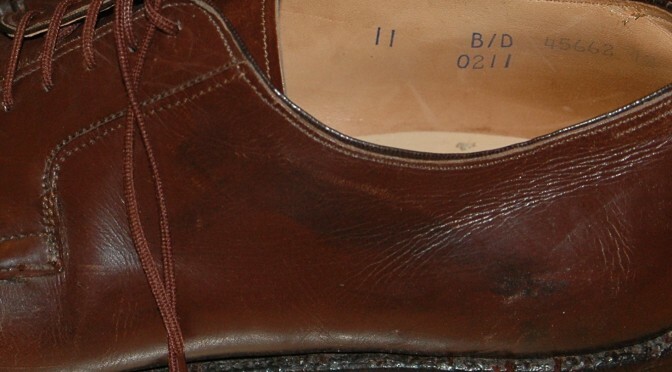 I wasn’t exactly sure what was on the shoe but it looked like old polish. 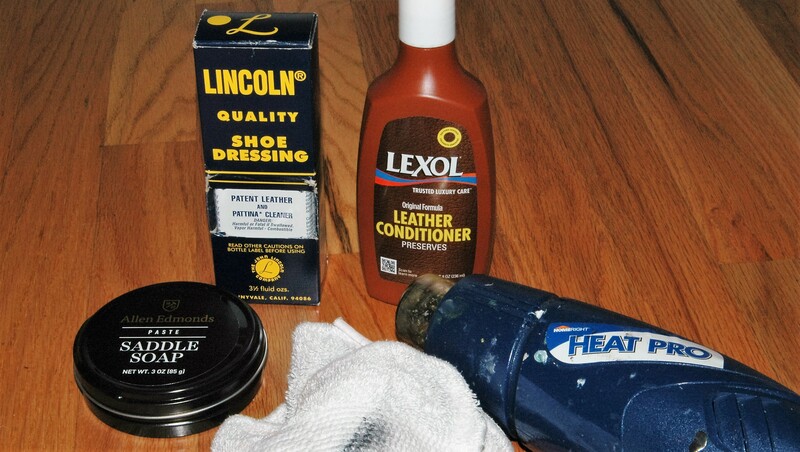 Luckily I had some help for this job: Allen Edmonds Saddle Soap; a heat gun; Lincoln Patent Leather and Patina Cleaner; and Lexol Leather Conditioner. 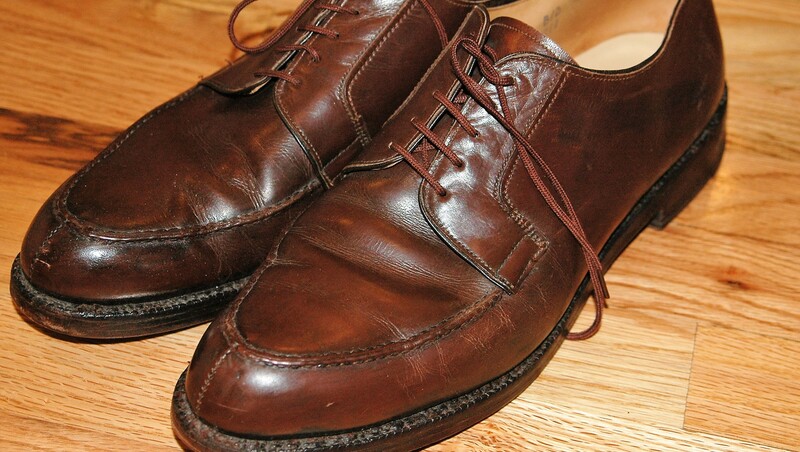 After inserting shoe trees and a wipe down with a damp cloth, I did a first pass on them using Saddle Soap. Saddle Soap is fairly mild and it removed surface grime but much of the wax remained. So I used a heat gun to melt off the wax. 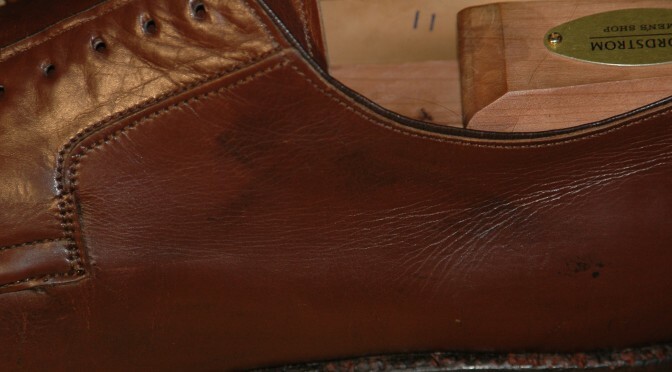 Heat then wipe process was the same as I described in the shell cordovan stripping post. This is how the shoe looked after the wipe, saddle soap and heat gun. Much better. 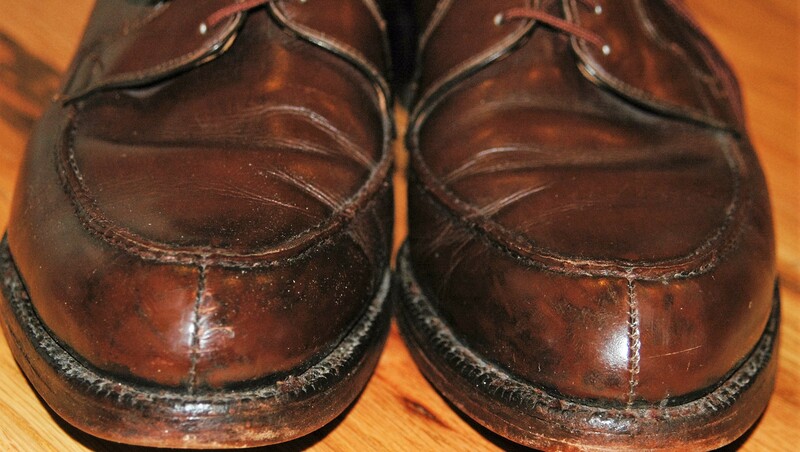 There were still a number of dark spots and mottled areas, so next I used Lincoln Patina Cleaner. This Lincoln product is a powerful, petroleum based product. Unlike most shoe care products, the packaging warns of death. I only use it outside and the smell of it reminds me of my dad cleaning the carburetor of the family Ford station wagon. With gloves on, I dab a bit on an old t-shirt and genitally rub the product on the shoe. 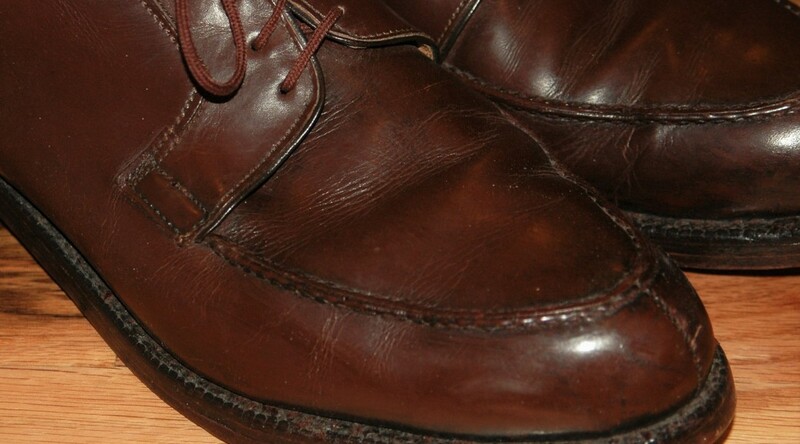 You shouldn’t apply much pressure since the Lincoln product basically dissolves the wax and you just need to wipe it off the shoe. 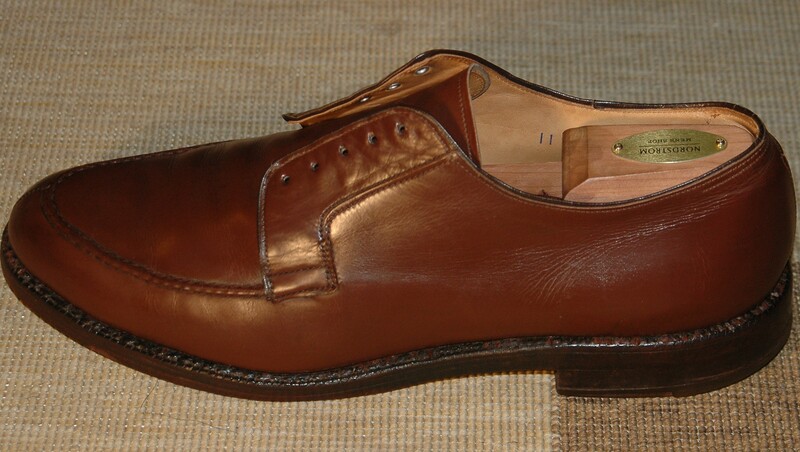 I have used this product successfully on smooth calfskin but make sure to test a small area first. Here is a full shot of the cleaned shoe. Looking good. After the cleaning, I applied Lexol to condition the shoe.